Needing no introduction, the DeLorean DMC-12 is one of the most famous and well known cars around the world. Famous for its staring role in Back To The Future, the DeLorean has been a favorite pop culture icon. First introduced by John DeLorean in 1981, the DMC-12 was built in Ireland and only 9,0000 were made between 1981 and 1983. The cars came with a PRV 2.8L V6 engine and were available with a 5-speed manual or a much rarer 3-speed automatic. The cars were all mono spec, with the only options including transmission and the choice of grey or black interior. Standard features included leather seats, air conditioning, AM/FM radio, power windows, power locks, power mirrors, tilt and telescoping wheel, tinted glass, and an electric defroster. It is believed that 6,000 or so cars still exist to this day. 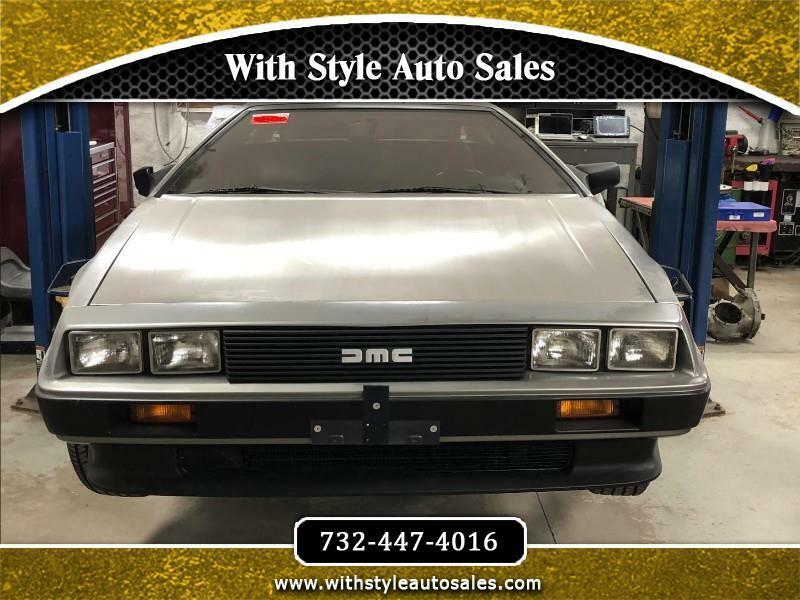 We are pleased to present this Iconic DeLorean DMC-12 for your consideration. This car came to us out of local long term storage where it has seen only a handful of miles since new. The car is in excellent shape cosmetically, with clean stainless steel panels free of dents, factory 14in alloy wheels with what are believed to be the original tires, excellent plastic and rubber trim. All of the lights, grills, and unique trim piece are in excellent shape. The interior is in excellent shape and features black leather seats and all of the original equipment is present. The car has gone through an extensive reconditioning which includes rebuilding of all the brake calipers, master cylinder, brake system reconditioning, full fluid flush, rebuild of fuel injections system, new fuel pump, fuel pump accumulator, spark plugs, and other miscellaneous lines and hoses. Car does come with some original bill of sale material, owners manuals, shop manuals, and us factory correct with no modifications or aftermarket upgrades. The car is in running and driving condition and is ready to please its next owner, whether now or in the future.